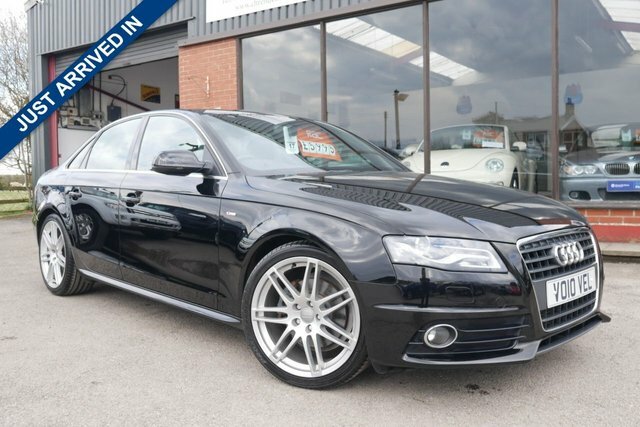 2010, 10, Audi, A4, 1.8T FSI (120ps) S Line Special Edn Saloon 4d Manual gearbox, 6 speed, Saloon, Petrol, Front wheel drive, 1798cc, Black with part cloth/leather interior, 2 keys with remote central locking, Service history with 7 service stamps. 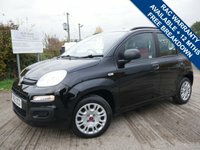 This vehicle is in excellent condition both inside and out, comes with a great spec inside with bluetooth phone preparation, Climate air conditioning, Multi function steering wheel, Cruise control, Auto light and rain sensor, Bang&Oulfsen Speaker system with Audi Concert head set, Xenon headlights with daytime running LED lights, Front fog lights, Rear parking sensors, 19" Alloy wheels with good tyres all round. 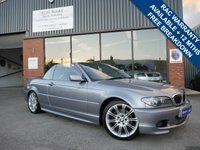 Vehicle comes with 12 months MOT, service and 3 months parts and labour warranty. 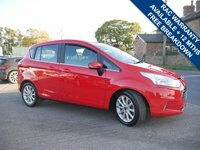 Extended warranty packages available from RAC Warranty, 3 months to 2 years available. High resolution images available by email, for further information please contact 01904 468514.